It’s no secret by now that technology evolves at an incredible pace. The computers and electronics we build today are seemingly obsolete within months. This is especially true with data storage methods and devices, as many people today are looking for methods to transfer Zip Disks and floppy disks to their hard drives. In the early days of computing, in order to transfer data from one computer to another, we used what was called a floppy disk. The first floppy was an 8-inch flexible plastic disk coated with magnetic iron oxide which allowed the computer to read and write data from the disk’s surface. The nickname “floppy” came from the original disk’s flexibility. The floppy disk was considered a revolutionary device in the early days of computing for its portability which allowed users a new and easy physical means of transporting data from computer to computer. This 8-inch floppy soon evolved into a smaller 5 1/4 inch size, which then evolved to the more common 3 1/2 inch disks, with a maximum capacity of 1.44mb. The 3 1/2 format was extremely popular well into the new millenium and you can still find them in computer retail stores today. The rise of the 3 1/2 inch disk brought about the development of high capacity magnetic media device, as many people needed a more practical option than using 1.44mb capacity disks. 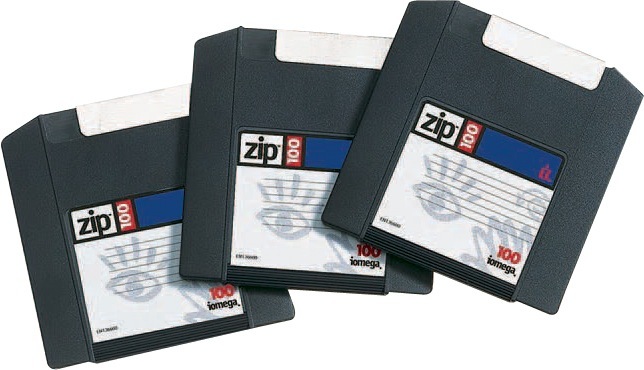 To fill this emerging niche, the Zip Drive was released in 1994 by Iomega and was capable of reading and writing to specialized disks called Zip Disks with a capacity of 100mb. Zip disks were very popular, but they never fully replaced the 3 1/2 in. format. Eventually Zip Drives were phased out in favor of cheaper, higher capacity media such as CD-R and flash thumb drives. If you examine your own “digital-history” you may remember having some of these disks laying around, and may even remember copying important photos or documents onto them. Although the technology is basically obsolete, we have the tools and experience to extract data off of these devices, and put them right back onto your computer. If you do have important data, it’s a wise move to transfer your Zip Disk to your computer or other modern storage medium. If you are someone who has lots of old disks laying around and are curious to see what’s on them, or retrieve their data, you’ll need to get your hands on a drive that is capable of reading them. If you have 3.5 inch floppy disks, your computer might even have a drive built in. If so, it looks similar to the image below. 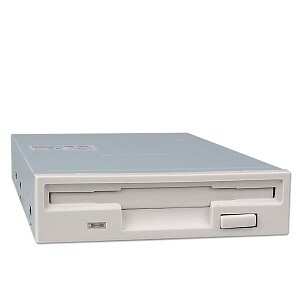 Since most computers sold today do not come with a stock floppy or zip drive, the next alternative you have is to purchase one from a store or online retailer. We actually recommend a USB based drive, as it’s very easy to use by simply plugging into an open USB port on your computer. Once the drive is plugged in, it acts almost like an external hard drive, so all you’d need to do is open the disk up and drag the files/folders you want to copy onto your computer. This entry was posted in General and tagged 3 1/2 floppy, floppy disk, transfer zip, zip, zip disk, zip drive. Bookmark the permalink. I desire to transfer digital photos on 3 100MB Zip disks to CD. Please provide information on cost of this service plus shipping. The cost for a zip disk data extraction is only $10 per disk. We can place those items on a hard drive you provide at no cost, or we can transfer your data to one of our archival DVD for $10 plus a small charge for shipping. Feel free to call one of our stores for any additional questions. I have one good iomega Zip floppy formatted for a Mac. I need the files on this floppy transferred to a flash drive. Can you do this service? Do you know anyone in the Phoenix area who does this service? Once I get the files on the flash drive, will I need special conversion software to read the old Mac Claris documents? or will Microsoft Word read them in a text only format? Feel free to give us a call at 1-877-345-6238 if you have any questions. The cost to copy a DD 8-inch floppy? I have 4 Iomega Zip disks that I need copied to CD or flash drive (Windows 10 PC). Please provide a price quote.